An intimate arrangement of offices and ancillary spaces is used to form a courtyard which reinterprets the Oxbridge model of tertiary buildings in a delightfully informal and contemporary South Pacific way. 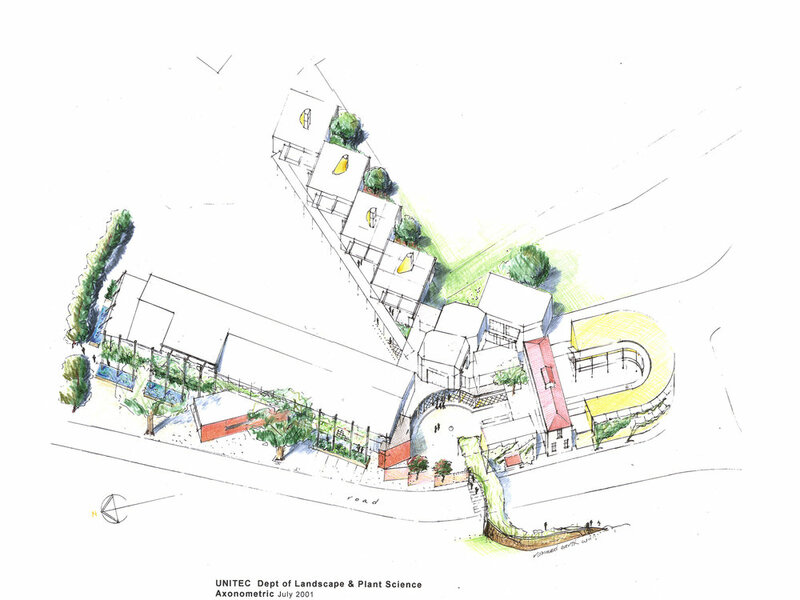 We prepared a masterplan for the School to cover projected development, and give order to the rather disordered collection of buildings and spaces that had accrued on the site. The project consists of a staff studies Administration Block with 30 offices of varying sizes interspersed with meeting rooms, interview rooms and toilets. We substantially rearranged existing functions to place large groups in large-span existing structures. The smaller rooms used by staff could then be grouped together in one of the new buildings, and we sought to give that building a collegiality that the existing buildings lacked. The courtyard form assisted this, and on a site surrounded on 3 sides by roads, offered a private world as an alternative to the very open campus view. 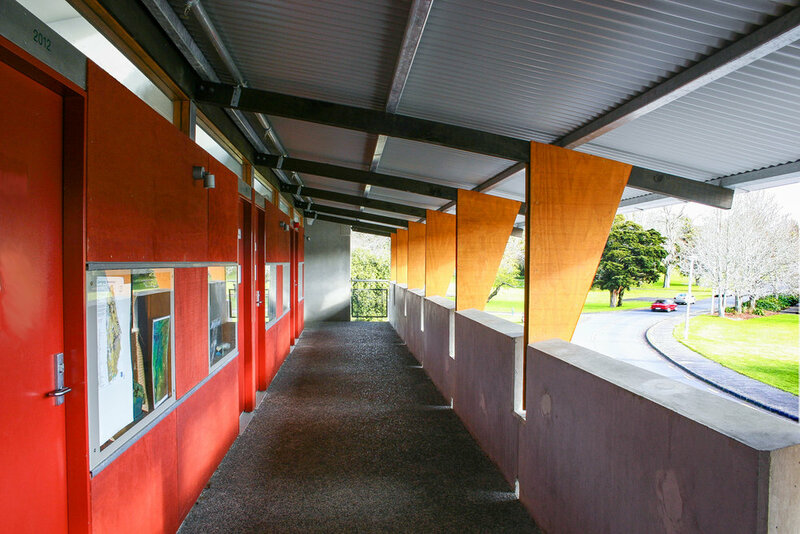 Precast concrete panels and stained plywood have been used to great effect to create a distinctive and durable building that came in under budget and on time.